Never sacrifice comfort when traveling. 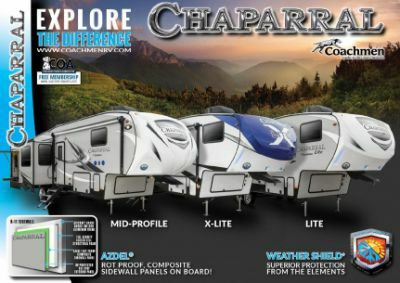 The 2020 Coachmen Chaparral X-Lite 295X is the 5th Wheel that you need for maximum vacation fun and coziness! 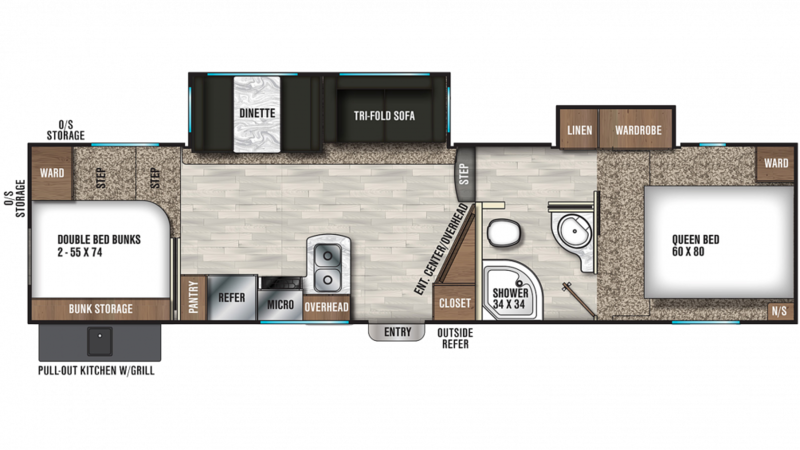 Find this RV at Gillettes Interstate RV, and you'll enjoy an incredibly great price! Our low prices and 24/7 door-to-door delivery service across North America are just a few of the reasons why we're mid-Michigan's largest full-line RV dealer! We're located at 7210 E Saginaw St East Lansing Michigan 48823, so come on down to see this beauty for yourself! 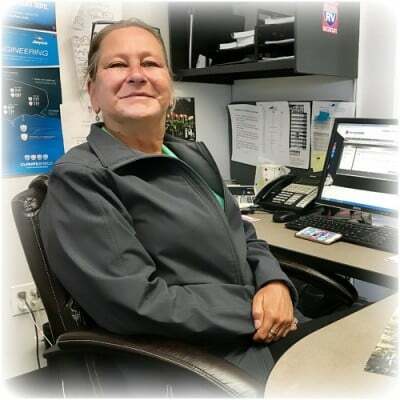 Need more information from one of our RV experts? Call us today at 517-339-8271! Travel around the country with this 5th Wheel, which has a hitch weight of 1777 lbs. and a GVWR of 11000 lbs! Stay protected from the elements outside, with the 20' 0" awning! Camping can take a lot out of you! After a long day on the road, cozy up in the master bedroom's Queen bed! You won't miss a moment of sleep, and neither will your family! This model sleeps up to 10 people! Long, fun-filled days in the sunshine and fresh air can work up a big appetite, but no one will go hungry on your vacation thanks to the handy kitchen! The 3 burner cooktop lets you whip up delicious, hot foods like steaks, burgers, chops, or fish! The roomy 8.00 cu. ft. refrigerator can hold all your favorites, as well as refreshing cold drinks! With the 40 gallon freshwater tank, you'll never run out of the water to clean, drink, and cook with! Gather friends and family together with a nice cookout around the outside kitchen!